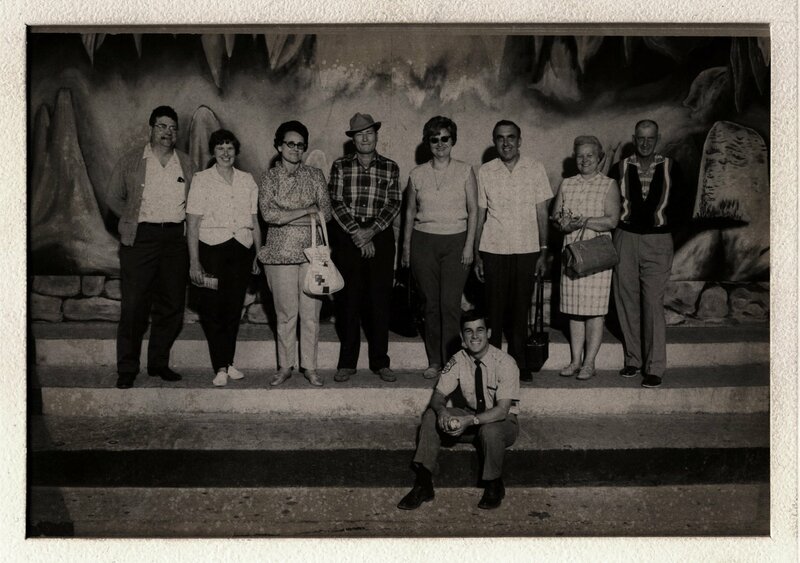 Description: Eight middle aged couples, visitors to the Missouri Caverns, pose for a photograph in front of a painted backdrop. A guide holding a flashlight is seated in front of the group. Judging by the footwear, attire, and facial expression of the couples, the cavern tour required minimal physical exertion which yielded maximum visitor satisfaction. This entry was posted in Uncategorized on July 23, 2013 by sgolland.